Posted byadmin	 13. May 2013 1. January 2015 Leave a comment on What Is The Anabolic Window? Like a mythological creature, every person that exercises is aware of the coveted “anabolic window”. A window of time where the body morphs into a nutrient sucking beast that devours all in its’ path. It must be fed or your body will be consumed alive. Ok, a bit dramatic, no? The anabolic window concept has been around for awhile. People keep tabs on it like clockwork. You see guys at the gym ready to down their post-workout shake once the weights hit the floor. Is this really necessary? It’s time to dive deeper into this concept and learn the proper ways to reap the anabolic benefits. 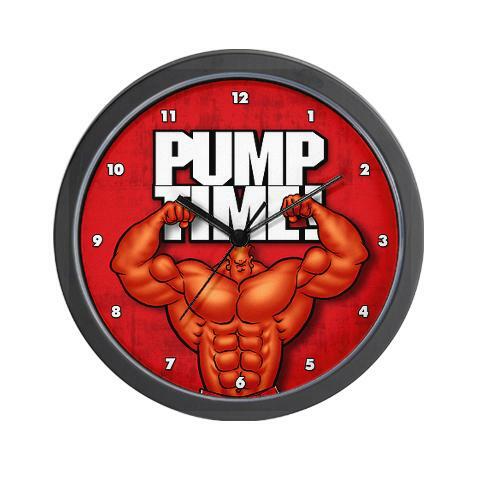 There should be no delay in noting that the anabolic window is a concept that is fact based. Unfortunately, it has been misrepresented to the fullest and people do not understand how to use it properly. They also clearly misunderstand when NOT to utilize the window. Yes, there is such a time. The concept is defined that you must consume a certain amount of carbs (based on bodyweight) immediately post-workout. This massive dose of carbs is intended to rapidly replenish glycogen within the body. It is also supposed to be coupled with a moderate amount of protein to facilitate the shuttling of amino acids to muscles for repair and recovery. The athlete is ideally wiped clean of carbs due to the grueling workout, and timing between pre- and post- workout meals. There have been many studies completed on this concept and the proper amount of carbs during this post-workout window. The optimal amount is 1.2-1.5g of carbs per kilogram of bodyweight within 30 minutes post-workout. A delay of two hours can drastically reduce the re-synthesis rate, but as long as carbs are steadily ingested, glycogen stores are refilled within 24 hours. Studies support the use of around 8-10 grams of carbs per kilogram (based on intensity and frequency) are necessary within that 24 hour timeframe. It is also an important note that of the various types of carbs used, fructose replenished glycogen the slowest. Fructose would be an ideal choice in the pre-workout timeframe as it tends to be stored in the liver for fresh glycogen stores. This window needs to be utilized properly. Consuming too many calories from carbs and protein at one time can cause a massive insulin spike and calorie overflow. This is where fat gain becomes a problem. People are not using it properly to fit their diet. Below we will dive into some of the more basic diets to see which diet(s) would benefit the most from the anabolic window. This was going to be multiple sections, however there is some crossover with these two aspects. As body types and goals often closely relate. Generally, people that possess more bodyfat are looking to lose bodyfat. Those with lower bodyfat levels are mainly looking to maintain that level, possibly reduce it, or simply gain muscle with a combination of the previous two. Why does this matter? I’m glad you asked. Those with higher levels of bodyfat (15% or more) tend to have a higher level of insulin resistance. This is normally not a problem, as exercise can help increase insulin sensitivity (i.e. reduce insulin resistance). This is an issue with the anabolic window, as the post-workout shake is going to cause a massive surge of insulin. Since those with higher bodyfat levels have a certain level of insulin resistance, this becomes a problem. The body cannot handle this surge and the nutrients don’t get absorbed into the muscle and liver, but will mainly be deposited as fat. People with lower bodyfat levels (15% or less) will have less insulin resistance. Thus, they would ideally respond better to a surge of insulin post-workout produced by the shake. One factor to consider is based on the goals of each individual. It’s a calculated decision that must be decided and few people tend to remember their list of goals in situations like these. Your goals are whatever you choose. The key to remember is keep blood glucose stable. You will want to ingest something within a reasonable time post workout. This is due to various factors coming into play. One of these factors is cortisol, which can wreak havoc if not dealt with properly. Another factor is pre-workout nutrition. The other factor to consider is the overall focus of your diet. Cortisol can be kept at bay by consuming some type of food source after your workout. Be sure that it is within 30 to 45 minutes after your workout. There are various types of diets out there. Each has its’ own specifics on what you can and cannot eat. Some are high carb, others low carbs, and some no carb (to name a few). The type of diet is very important in determining if utilizing the anabolic window is best. In each diet, it is the carb portion that is pretty much the make or break in utilizing the window (i.e. without carbs, you’d have a hard time benefiting from the anabolic window based on current research). This type of diet will allow you to easily utilize the anabolic window to full effect. Simply follow the protocol listed above for optimizing the anabolic window. The amount of carbs post-workout should not be drastically higher than your usual carb intake for meals. A higher carb diet would utilize 55-60% or more calories from carbohydrates. These diets tend to very, especially since low carb means different things to different people. The anabolic window would be beneficial here, but it is important to remember that glycogen can be replenished within a 24 hour timeframe. Diets like these should utilize carbs at breakfast due to the overnight fast. They also should use a decent amount pre- and post- workout with the remainder spread throughout the day. While you may not be able to reach the protocol listed earlier, you will still benefit from faster glycogen replenishment (than had you not utilized the anabolic window). The concept of extremely low carbs and zero carbs are principles that have been around for quite awhile. The extremely low carb diet is often looked at through principles of the Atkins diet (which was not the best case for this type of diet). The body can survive and thrive on a diet that seems to promote butter, bacon, and fatty beef. However, other aspects need to be addressed to truly make that work. Extremely low and a zero carb intake are obvious candidates to NOT utilize the anabolic window. Your carb intake is going to be sparse. Most of your carbs will come at a cost of negligible carbs from various sources. There are also a few food items that have a few naturally occurring carbs, like milk (and milk based products). The times you may be allowed carbs in these types of diets are most likely during your off days to allow the body to fully replenish glycogen. This article is not about diving deep into each type of diet, so as always do your research beforehand. It’s obvious that when carbs are restricted that the anabolic window becomes somewhat void. In low to no carb diets, the focus is usually on fat loss first. You should not be concerned with glycogen replenishment, as it’s nearly impossible with so few carbs. As for the remaining diets, utilize it as described, but be sure to follow your goals. Do not get too caught up in the window, but know that it is available. I am not trying to downplay the concept in any fashion, it just needs to be understood that their are other methods to restoring glycogen. The method works, but make sure it works within your diet and adjust as needed.